Do you like customizing Unity desktop using Tweak Tool? 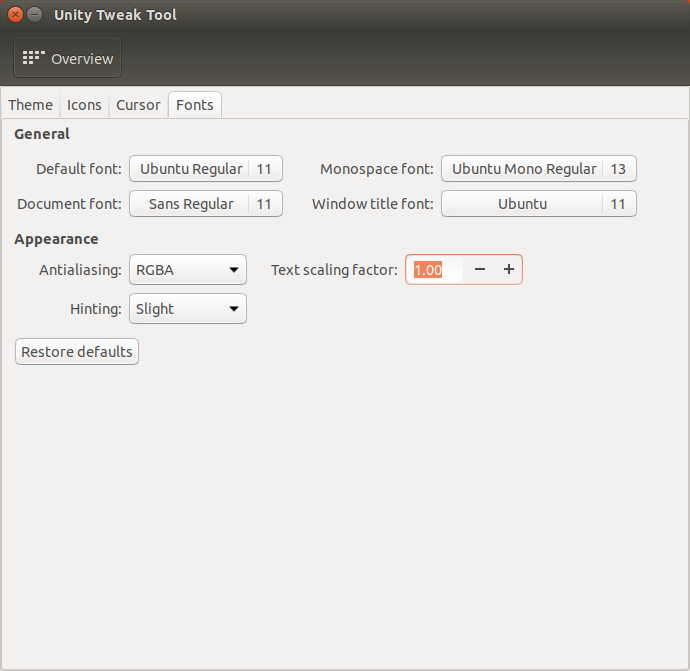 Do you like bottom panel (since 16.04 LTS) and custom themes? 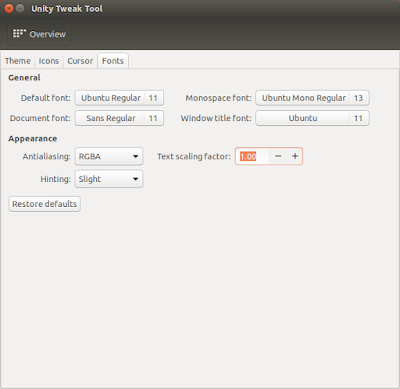 Good news for you, now we can continue it at Ubuntu Unity Remix 18.04! For you don't know, Unity Tweak Tool is a program to make it easy for you to custom your Unity desktop. This includes changing theme & icon, changing Launcher transparency & position, customizing the menu/search, desktop animations, and many more. This 'Day 3' covers shortly about this Tweak Tool on Unity Remix. Enjoy! This continues the Day 2 and Day 1. Get more basic info on Unity Remix Overview. It's still the same appearance except it's working fine at 18.04 now! This awesome program created by Freyja Developer Team and hosted at Launchpad. 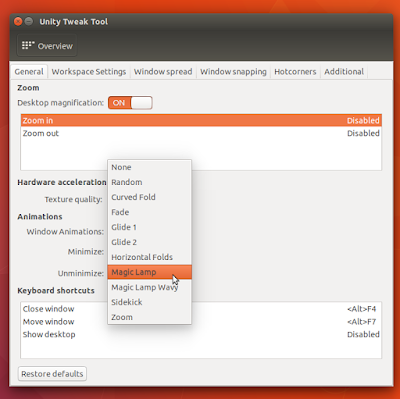 Visit them at https://launchpad.net/unity-tweak-tool! With Tweak Tool, the vertical panel can be switched to bottom (again). I believe many of you like to do it at 16.04 LTS and above before 17.10 came changing everything. Now you can continue this at 18.04 in Unity Remix. 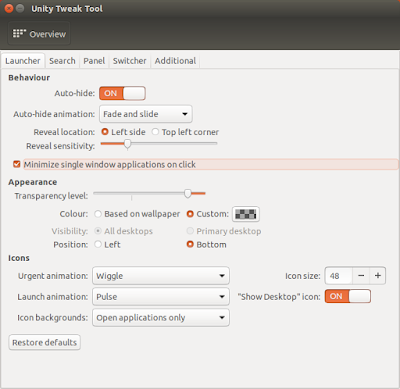 All of us know that icons at Unity Launcher cannot be minimized by double-clicking. Fortunately, we can change it using Tweak Tool by checking "Minimize ... on click" at Overview > Launcher tab. 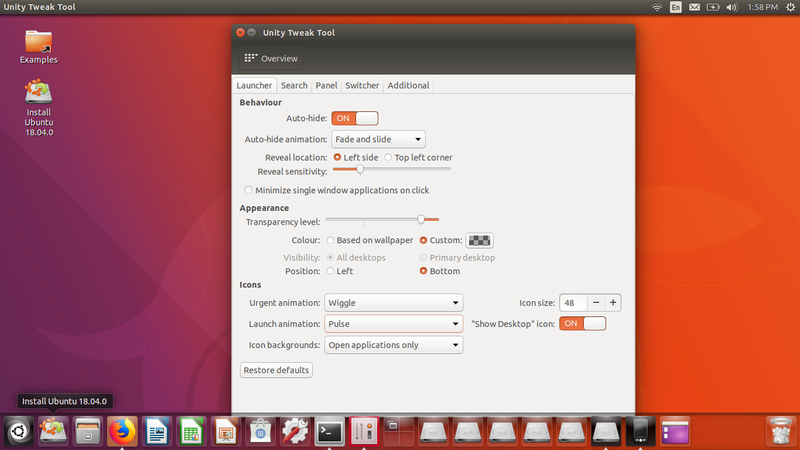 Then, it behaves like a traditional desktop (e.g. 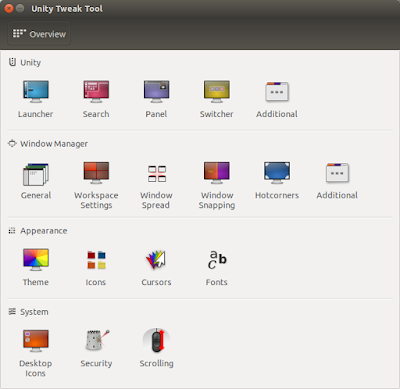 MS Windows or KDE Plasma) when you click the icon then the window minimizes. Do you find difficult to see small fonts? Change them with Tweak Tool. You can also easily revert back to default by pressing Restore button. Tweak Tool covers many settings you can expect for a desktop like Unity. This short article cannot covers them all. 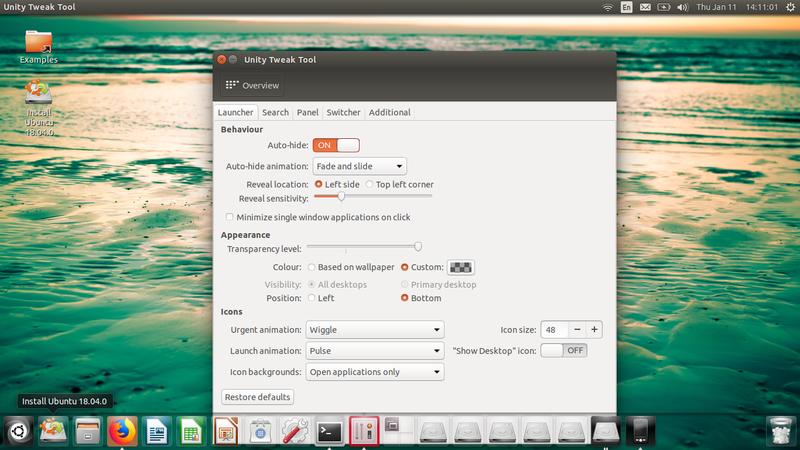 For example, Magic Lamp animation and icons-at-desktop-area are supported, and you just need to find them out. Happy working!